Rasti, M., Khatooni, Z., Mostafavi-Pour, Z. (2012). Production and evaluation of polyclonal rabbit antihuman p53 antibody using bacterially expressed glutathione S-transferase-p53 fusion protein. Iranian Journal of Biotechnology, 10(4), 240-248. Mozhgan Rasti; Zahed Khatooni; Zoherh Mostafavi-Pour. "Production and evaluation of polyclonal rabbit antihuman p53 antibody using bacterially expressed glutathione S-transferase-p53 fusion protein". 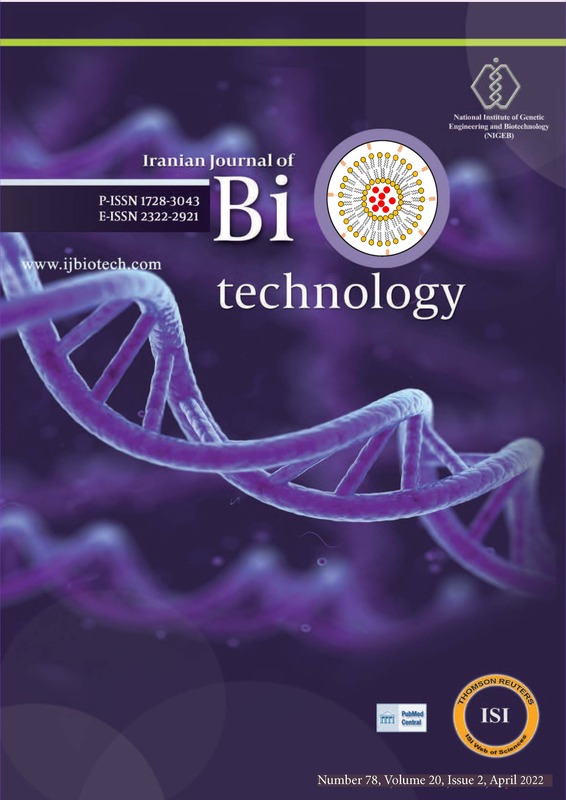 Iranian Journal of Biotechnology, 10, 4, 2012, 240-248. Rasti, M., Khatooni, Z., Mostafavi-Pour, Z. (2012). 'Production and evaluation of polyclonal rabbit antihuman p53 antibody using bacterially expressed glutathione S-transferase-p53 fusion protein', Iranian Journal of Biotechnology, 10(4), pp. 240-248. Rasti, M., Khatooni, Z., Mostafavi-Pour, Z. Production and evaluation of polyclonal rabbit antihuman p53 antibody using bacterially expressed glutathione S-transferase-p53 fusion protein. Iranian Journal of Biotechnology, 2012; 10(4): 240-248. Recombinant Protein Laboratory, Department of Biochemistry, Medical School, Shiraz University of Medical Sciences, P.O. Box 7134-845794, Shiraz, I.R. Iran. immunoblot, immunofluorescence and chromatin immunoprecipitation assays. Enzyme-linked immunosorbent assay showed that immunization with purified GST-p53 produced the high titer (1:10000) polyclonal antibodies with high specificity. Anti-p53 antibody allowed the sensitive detection of native p53 protein in immunoblotting, immunofluorescence and chromatin immunoprecipitation assays. Our results showed that anti-GST-p53 antibody provides a good means for studying the p53 expression pattern and its binding ability to other proteins in tumors.